Filed to: in 2019 can we cancel april fools'?Filed to: in 2019 can we cancel april fools'? in 2019 can we cancel april fools'? Of all the days of the year, April Fools’ is the most cursed day on the internet. Cringey branded memes, inconvenient pranks, and annoying social media scares—this age-old tradition is now the day when anyone looking to preserve their sanity should just log off. 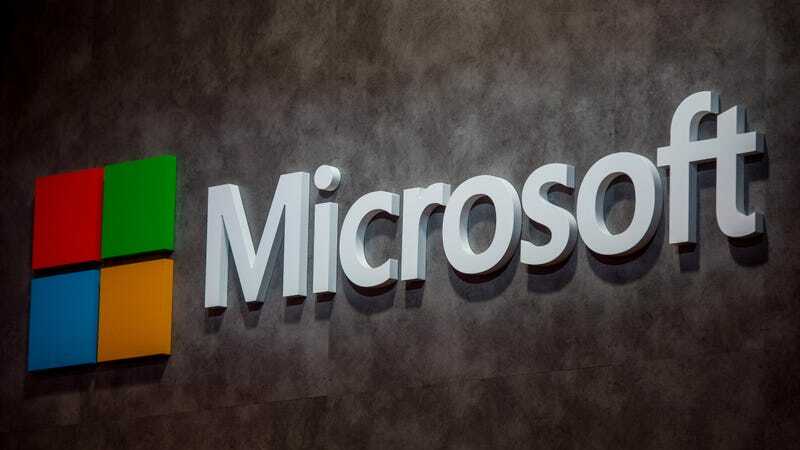 But in 2019, Microsoft has emerged as a hero among tech giants by banning corporate pranks in an internal memo. We’ve reached out to Microsoft to confirm the memo, but we have not yet received a response. However, we were able to confirm that the company banned April Fool’s Day pranks this year. Truly, Mr. Capossela, for your level-headed prudence, tech bloggers and everyone else online raises a toast in your honor. Sure, some of the gags might earn a half-hearted chuckle or a startled “Ha!” but the gaffes can also be way more grimace-inducing. Take that time when, in 2016, Google thought it’d be cute to add mic drop gifs featuring Minions in Gmail. Instead of laughs, the feature triggered mass anxiety, and Google quickly backpedaled. Others, like T-Mobile’s faux Sidekick Smartshoe Phone ad last year, are so unfunny but feature such obviously high-production values your eyeballs might roll out of their sockets trying to calculate how much time and money was wasted on them. Maybe, just maybe, this is a good time to question why corporations perpetuate April Fools’ Day pranks culture at all. Sure, modern hijinks are fairly tame compared to the potentially fatal and mean-spirited ‘jokes’ of yesteryear—but this is one tradition that could do without branding. Just imagine if tech companies used the time and budgets to create these mediocre jokes actually used them to solve pressing issues. And for leading the way, Microsoft, we salute you.